Tulsi is a sacred plant which can be found in almost every Hindu's home. Tulsi Pooja (Worship of Tulsi) is observed almost every day. Following things are required for Tulsi Puja. The sacred plant, Tulsi is regarded as the incarnation of the goddess Mahalakshmi. Tulsi represents duty, dedication, love, virtue and sorrow of all women. That is why this herb is usually worshipped by women of all age groups. 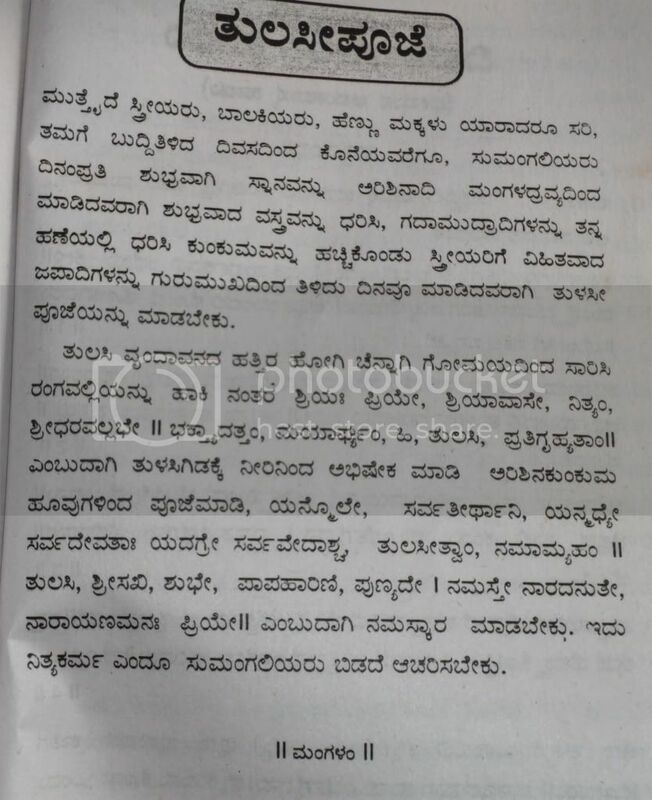 This pooja was requested by Mr.Dinesh and the credits for this post goes to Meera Subbarao. Click on the below image to enlarge or to get bigger image, if below image is not clear. For your kind information, this Site is not maintained by Guruji or Mr.Vikram. 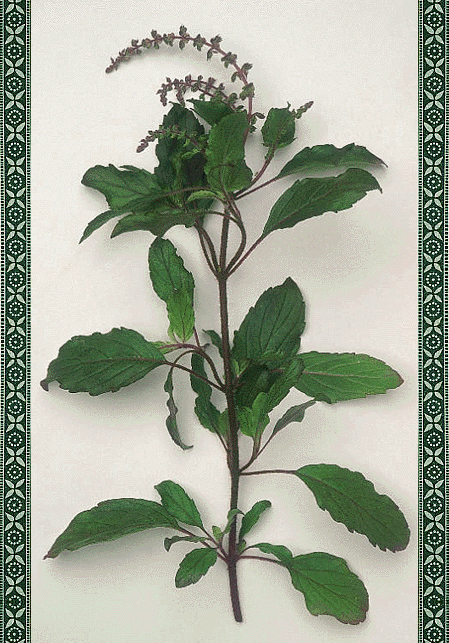 Tulsi is a very sacred plant worshiped in India. the citizens almost daily in the morning, worship the plant and start their day to day activities.And in your website and your post have nice information about the Holy-Basil-Tulsi. Holy Basil leaf extract functions as an adaptogen, enhancing the body’s natural response to physical and emotional stress. It does this by regulating the body’s production of the stress hormone, cortisol. By helping the body to cope with stress, Holy Basil also supports the immune system.